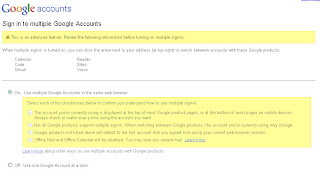 Google is rolling out a feature I mentioned in a previous post: signing in to multiple Google accounts simultaneously from the same browser. 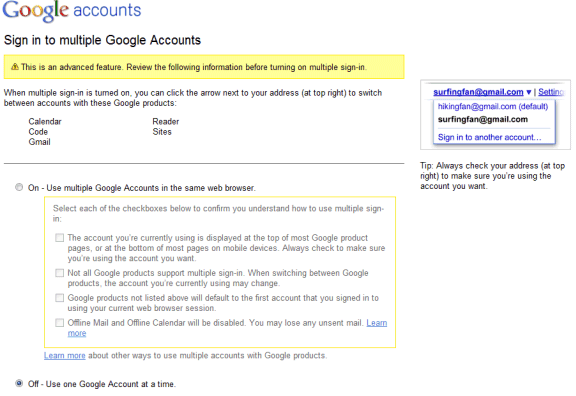 When you go to the Google accounts page, you might see a new option: "multiple sign-in". 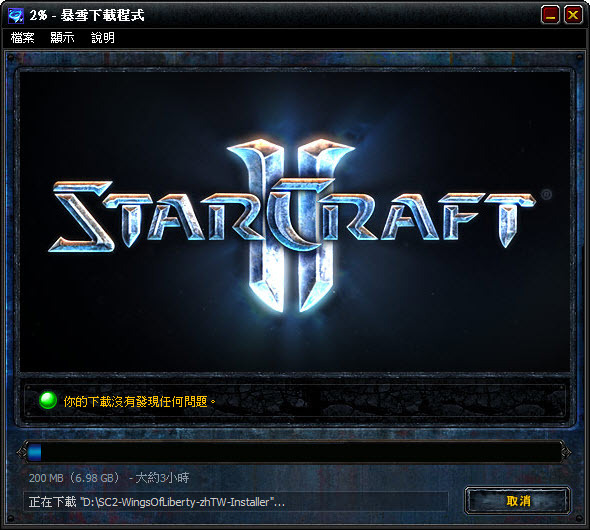 If you don't see the new feature, it will probably be enabled soon. After clicking on the "change" link, Google informs that this is an advanced feature and that it will only work for Gmail, Google Calendar, Google Sites, Google Reader, Google Voice, App Engine and Google Code. 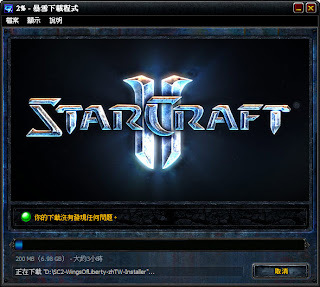 When multiple sign-in is enabled, a drop-down is displayed next to your email address at the top of the page, so you can quickly switch to a new account. When you enable this feature, the most significant change is that you'll see a new drop-down next to your email address in Gmail and other supported Google products. 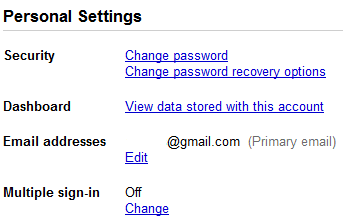 Click on the drop-down and you can sign in to a new Google Account without signing out from the previous account. Another change is that Google's URLs include a different number for each account:http://mail.google.com/mail/u/0/, http://mail.google.com/mail/u/1/, etc. 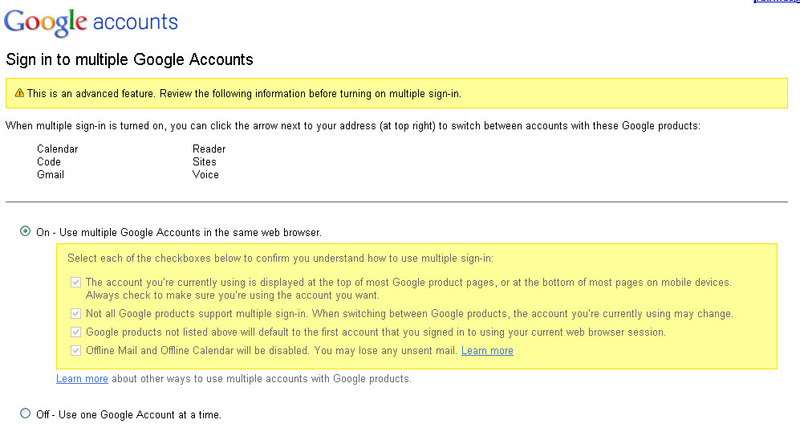 Google's help center explains that Google's services didn't allow you to sign it to multiple accounts at the same time using the same browser because Google uses sign-in cookies that only let you sign in with one account at a time. Obviously, you can use multiple browsers, Chrome's incognito mode, IE8's "new session" feature, multiple profiles, but the new Google feature makes things easier. 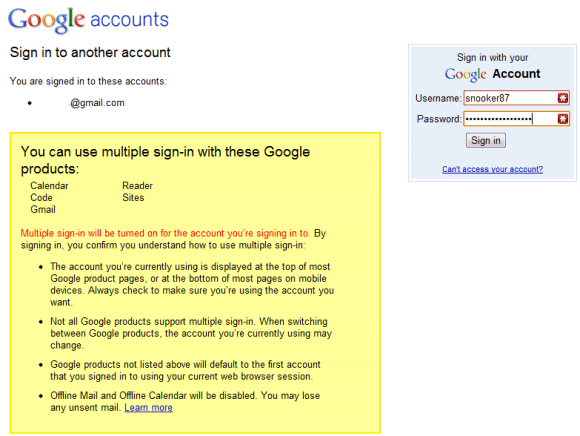 Now you can read your messages from two or more Gmail accounts by opening Gmail in multiple tabs.